Your next dental appointment may require sunglasses. No, you’re not going to the beach—your dentist is using a laser. A laser produces a very strong beam of light that causes a reaction when it comes into contact with human tissue. Lasers can cut, remove, and reshape oral tissue. Uncovering wisdom teeth that only come out part of the way. Removing decay from cavities to prepare the teeth for fillings. Reducing bacteria that grows around your teeth when you have gum disease. Although only a small number of dentists currently use this relatively new technology, it is becoming more mainstream. When used by a trained practitioner, lasers, like other dental instruments, are completely safe and actually have several advantages over traditional methods. For instance, you may not need anesthesia with laser treatment because some types of laser procedures are completely painless. There is often much less bleeding with lasers because they cause small blood vessels to clot immediately. 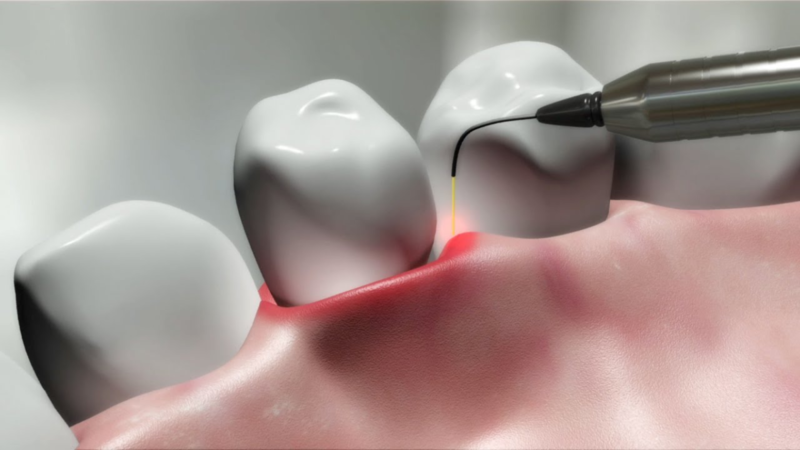 In addition, procedures can be more precise when using a laser.